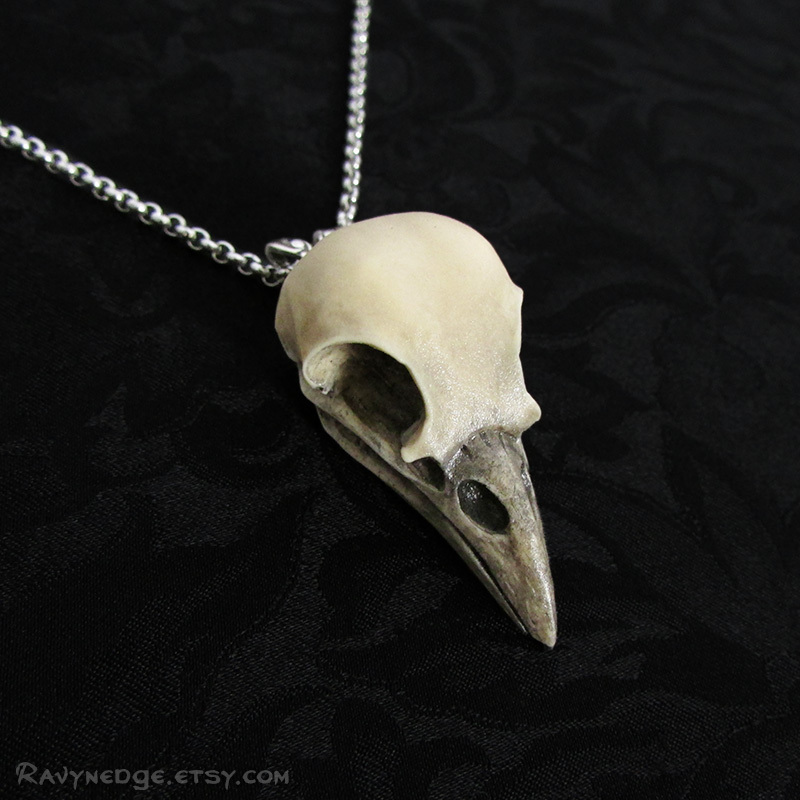 Nevermore Necklace - Raven Skull Pendant by RavynEdge. 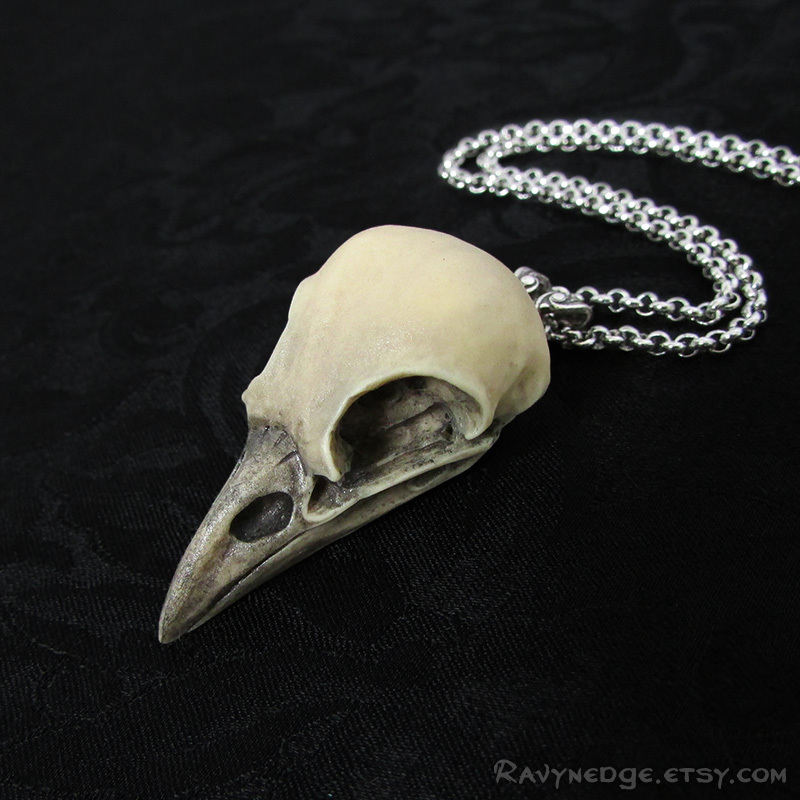 This necklace features an eye catching resin bird skull which I hand painted to give the appearance of aged bone and bring out the amazing details. 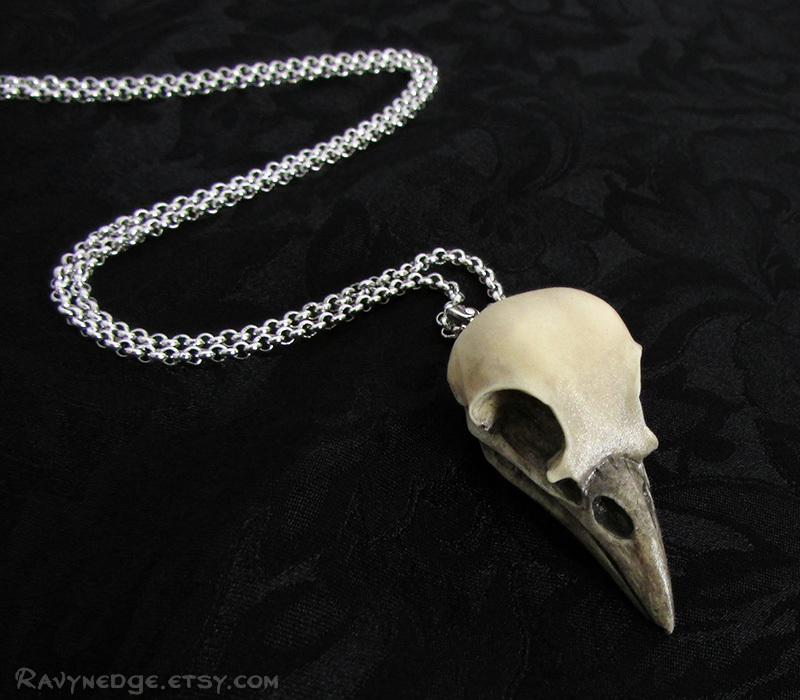 The skull replica hangs from a decorative sterling silver plated brass bail. 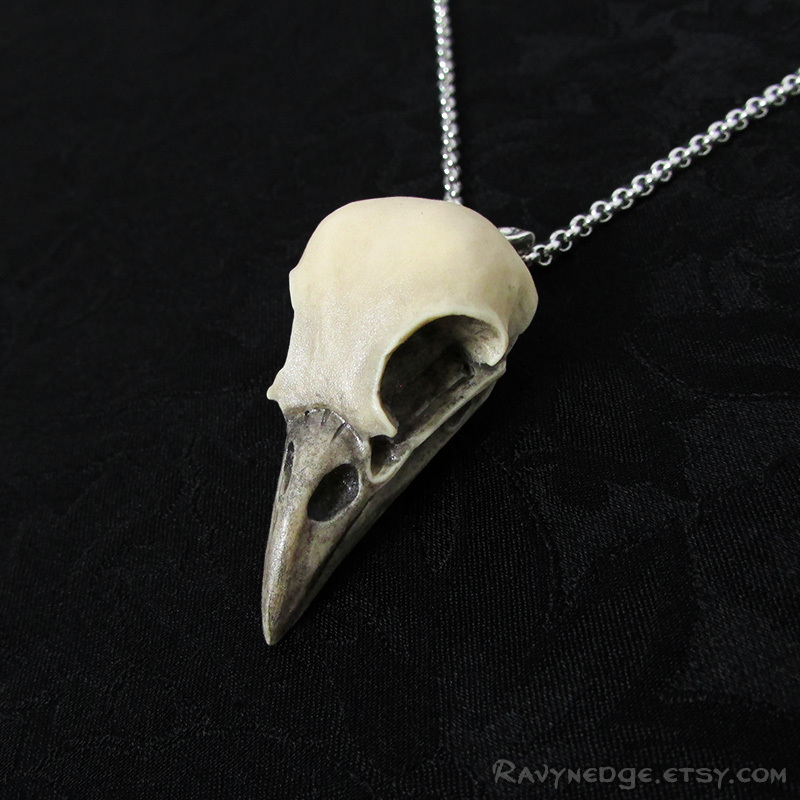 Perfect for layering with other necklaces or wearing alone. Looks equally amazing on a man or a woman. 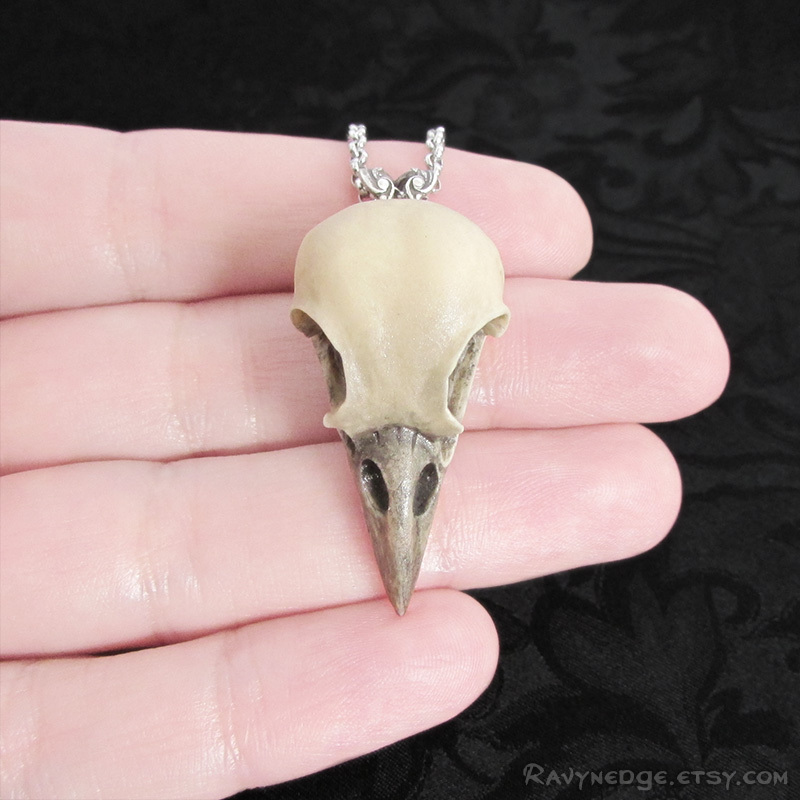 The pendant measures 1.54 inches (3.9cm) from the top of the bail and 0.71 inches (1.8cm) wide. The tarnish resistant stainless steel chain adjusts from 20 to 22 in (50.8 to 56cm) and closes with a lobster clasp.